The root cause of a career professional's fear lies in being afraid of losing the income associated with the job. The loss of a job is inconsequential. It is a terrible situation society has led us to believe in. All hopes, dreams and desires are tied to one (1) solitary income. Vacations, places we live, schools our children attend and leisure time activities are just some those "quality of life" issues all tied to a single income. 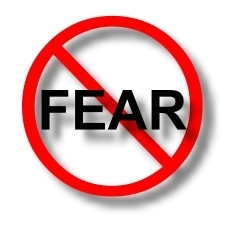 Remove the fear and you eliminate all the main cause of anxiety attacks that go along with job stress. This is accomplished by doing what Savvy Intrapreneurs do. In an article "Offshore-Proof Your Job" by leading career and education expert, Dr. Marty Nemko, the question "How do you develop your skill as an intrapreneur?" is answered. What Dr. Marty Nemko suggests below has been proven to work many times by many people. 1. Always keep your antennae out for a new way to increase the bottom line. If you just keep your head to the grindstone, you’re a worker bee. And good worker bees can usually be found for 75 percent less than you cost in Mumbai, Macau, Manila, or Moscow. 2. Flowchart key employees’ hot buttons and the employees they can influence and are influenced by. 3. Get good at pitching an idea. Practice with a friend. Stop living in fear. 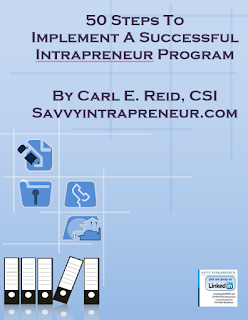 Start living life, on your terms, as a Savvy Intrapreneur. 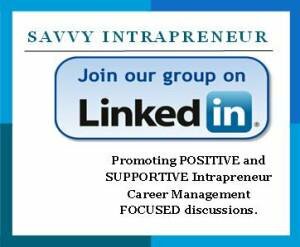 Savvy Intrapreneurs run their career like a business. The first order of business is Don't Have One (1) Client or Customer [one (1) source of income].